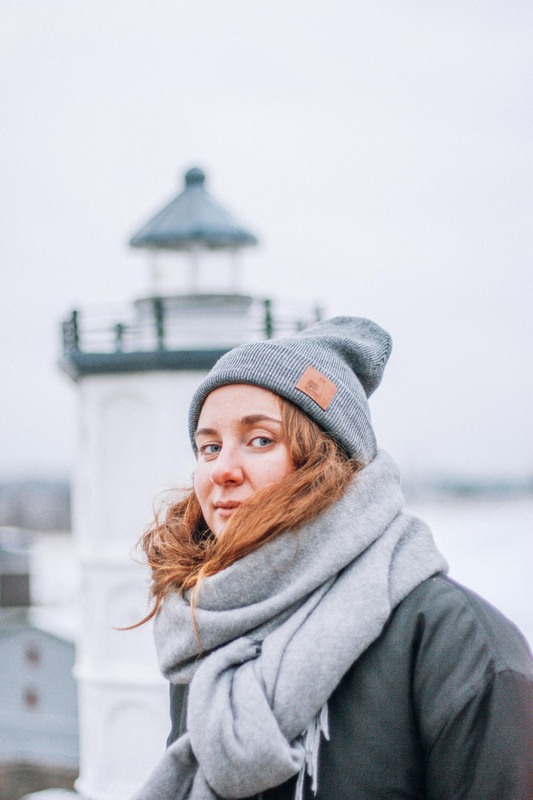 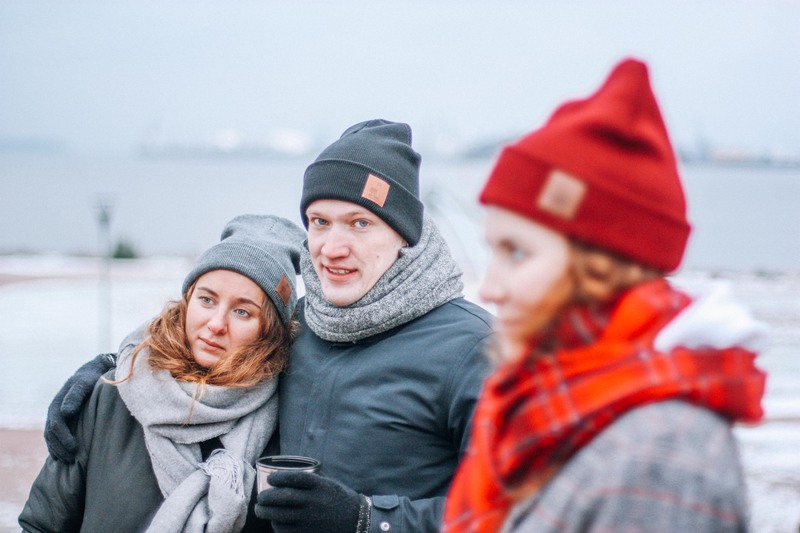 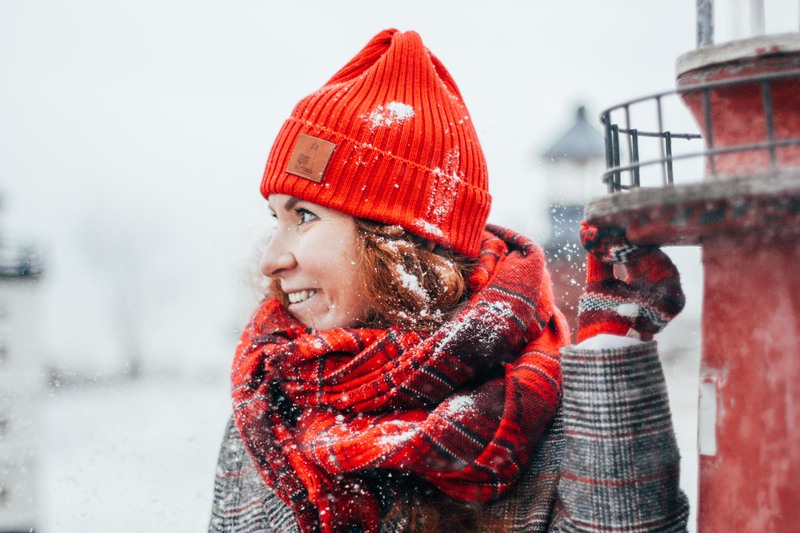 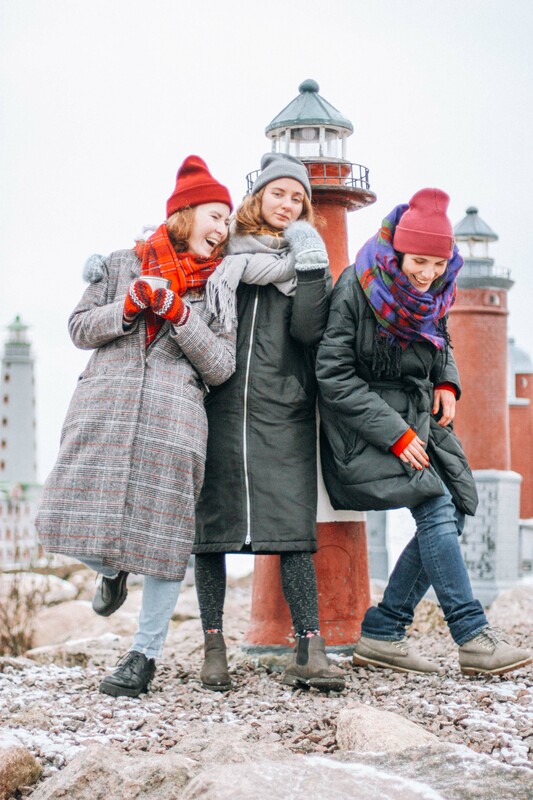 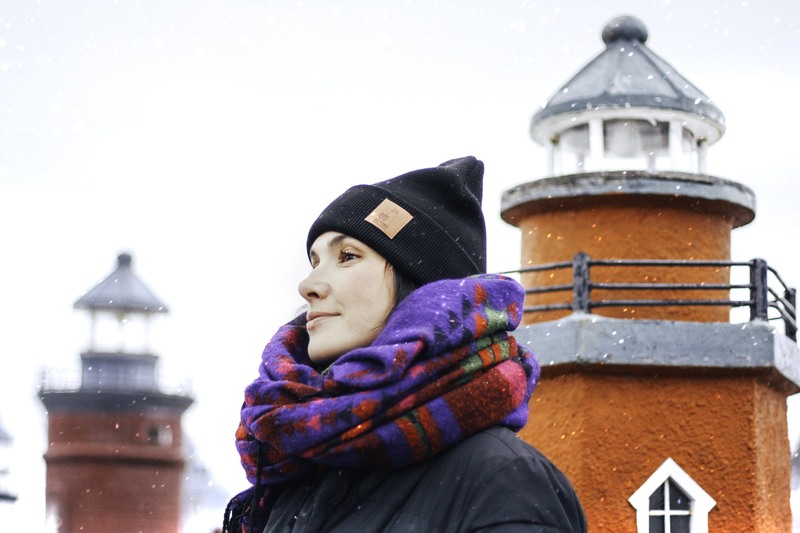 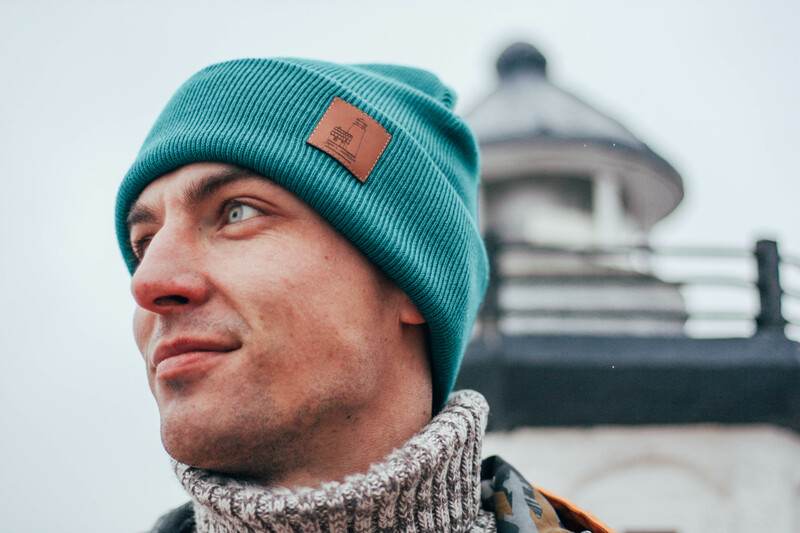 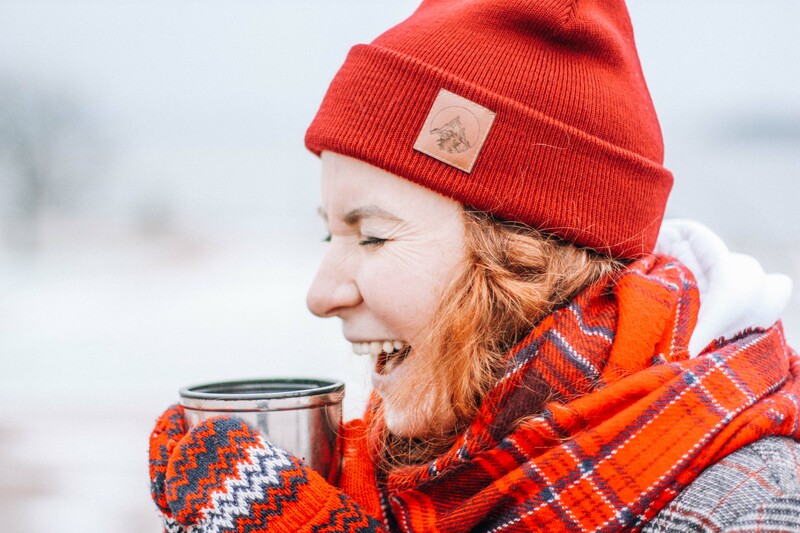 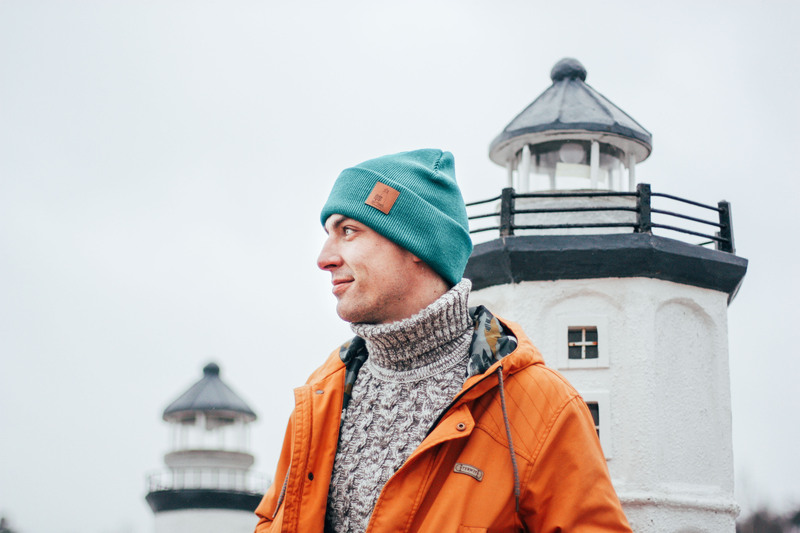 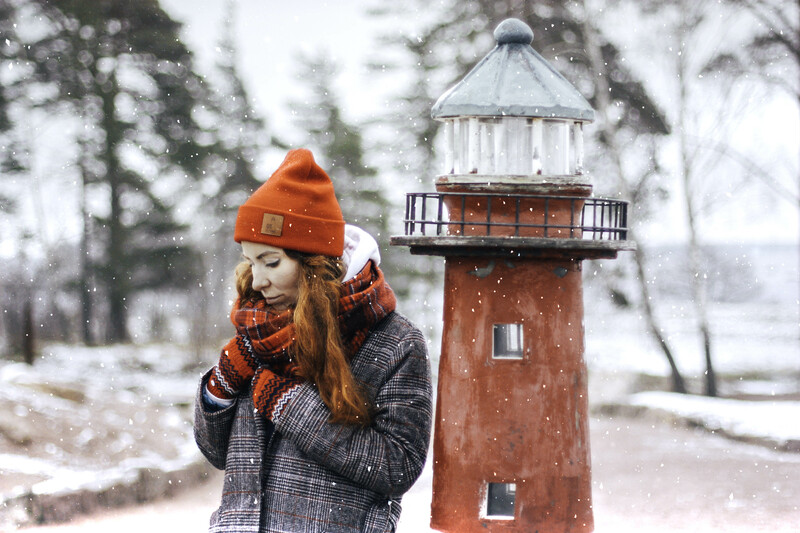 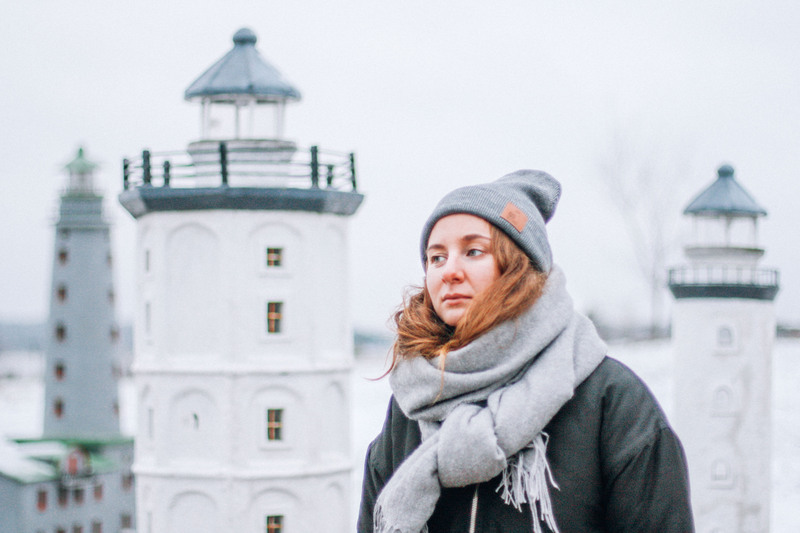 A photoshoot of hats by Shliapa - a cozy brand from St. Petersburg. 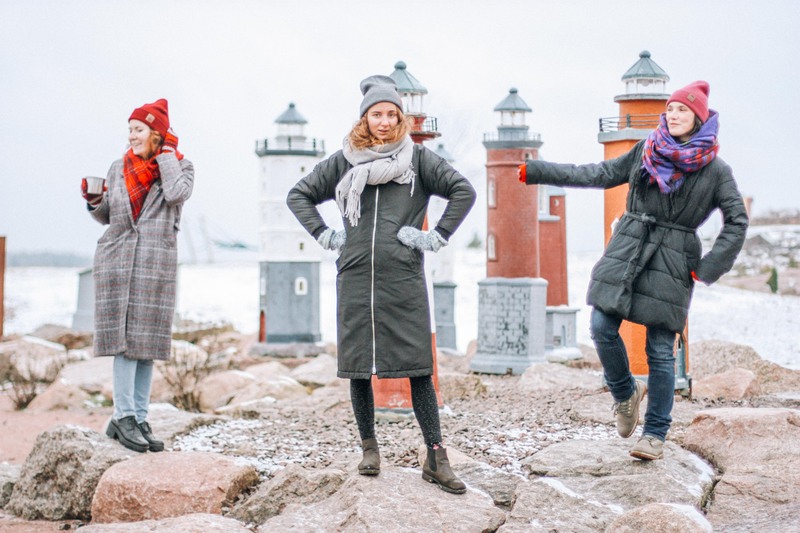 To make this shoot we went on a day trip to Finland. 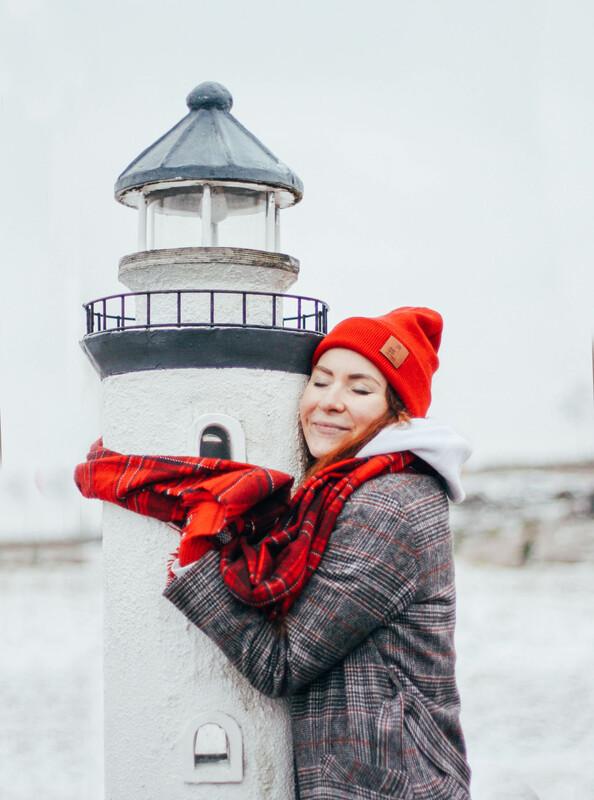 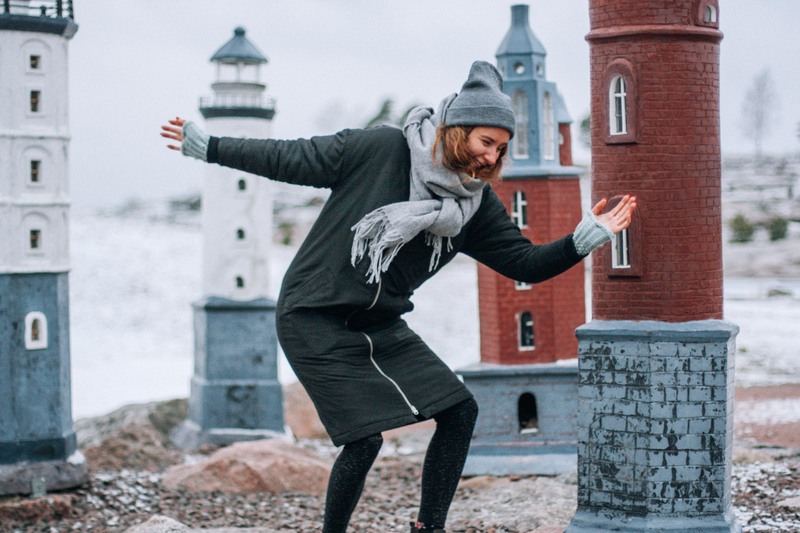 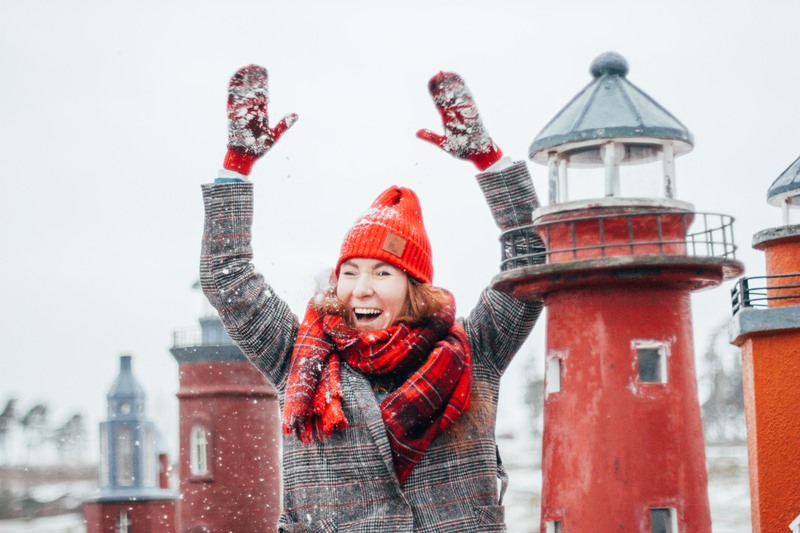 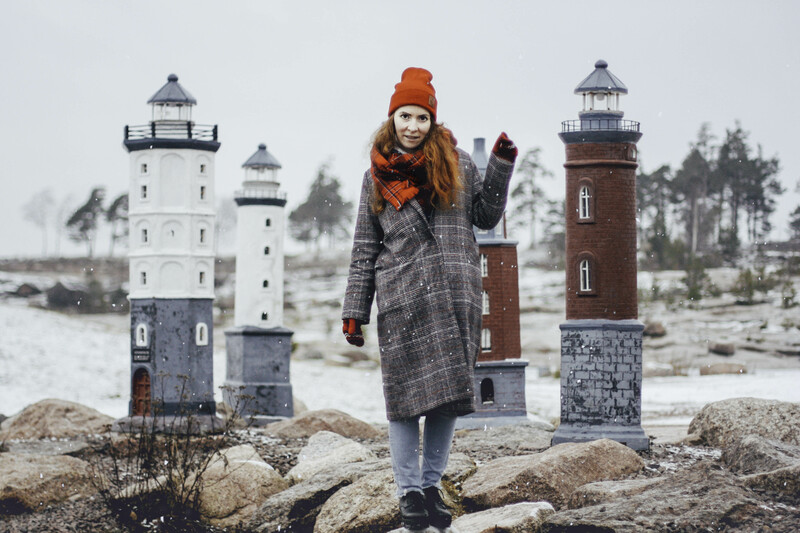 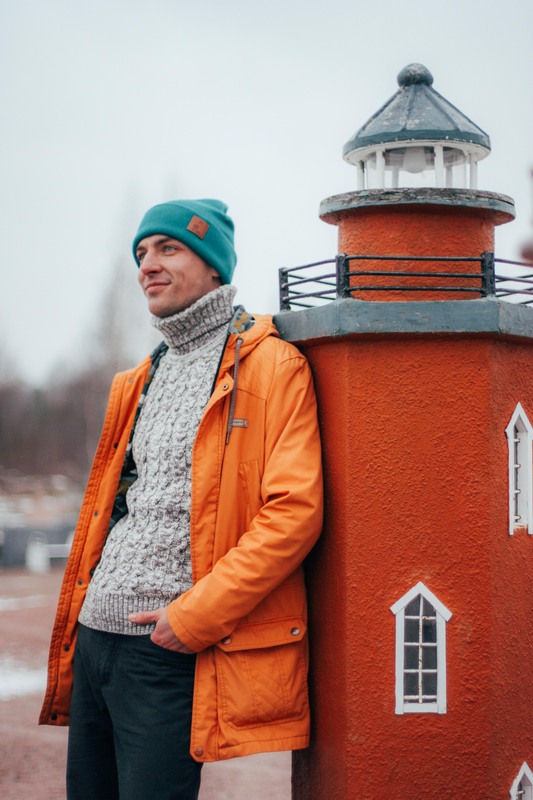 The cute lighthouse models are built in the Marine park in the small town of Kotka on the Baltic sea. 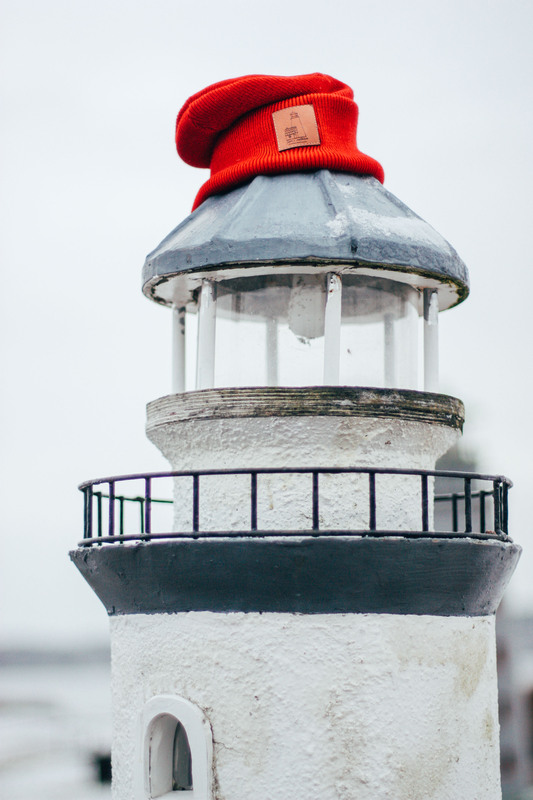 The hats with lighthouses on them were made for a charity store A home near the lighthouse The store works to provide funding for a children’s hospice. 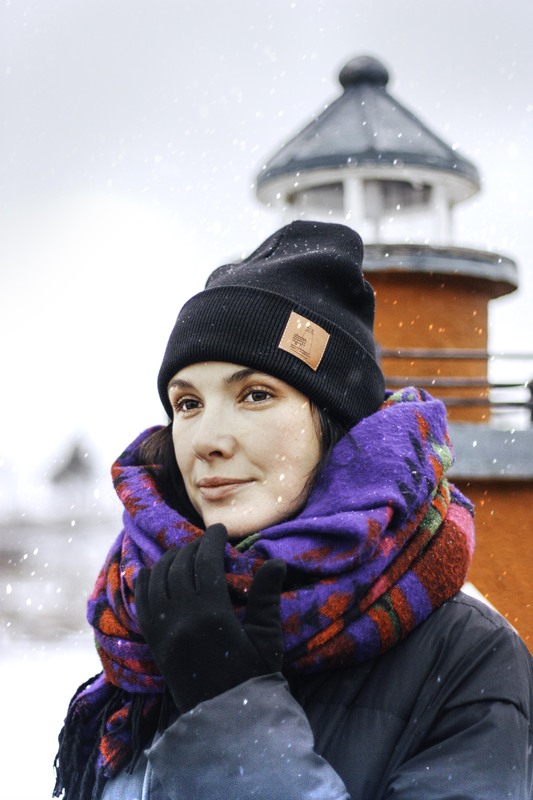 You can buy the hats on their website to support the initiative.